You learn how to use Acem Meditation for relaxation and stress management, and you lay the foundation for a fascinating process of personality development and self-understanding. 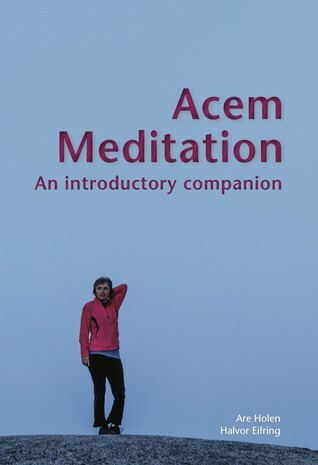 The book Acem Meditation - An Introductory Companion is included in the course fee. While you cannot learn the technique from a book, a CD, or the Internet, the psychology of meditation stimulates your practice and provides a fuller understanding of the process. After the course, you can practice the technique on your own, whether you choose to become a regular meditator or to meditate whenever you feel the need. If you wish, you may continue to discuss your meditation practice with a qualified guide after the course. You may also choose between a number of follow-up activities, such as group meditations, talks and lectures, the follow-up courses M1 and M2, as well as weekend retreats where you can get away for a while and recharge your batteries. Beginners’ courses in New York City and Washington DC. Course fee: $95. See details for each course in the right sidebar.